B.Sc. Degree in Textile Technology awarded by any University or Institution recognized by University Grants Commission for the purpose of its Grant./A Diploma in Handlooms and Textiles awarded by the Department of Technical Education of the Government of Tamil Nadu with Handlooms and Textiles as an Elective subject. 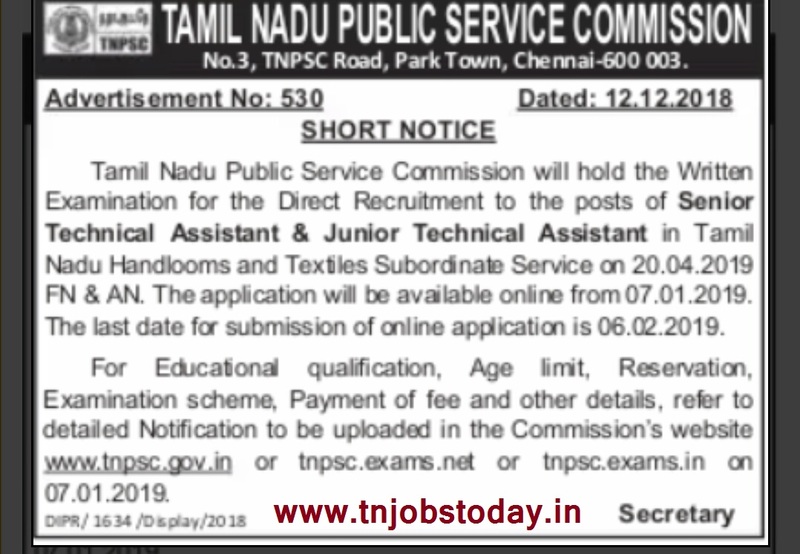 Eligible Candidates may download the advertisement from the tnpsc official website address of www.tnpsc.gov.in and read carefully apply online.